Graffiti, like most, can be done well or terribly. A beautiful piece of wall art can really lift a community but, unfortunately, most graffiti is a nuisance for councils and property owners. The value of a building decreases if there is graffiti on it. Unwanted graffiti should be removed as soon as it is noticed – while it is freshest – but graffiti cleaning is not an easy job, nor is it cheap. 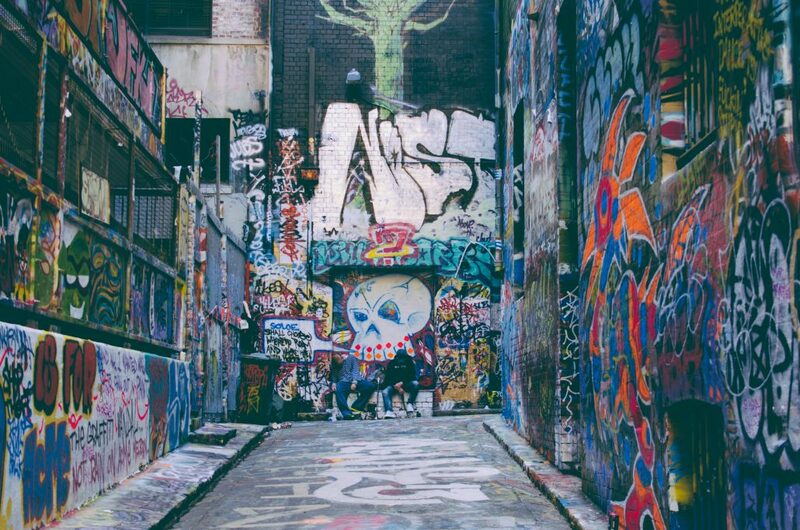 Graffiti removal costs the US approximately $12 billion a year. Fortunately, anti graffiti paint makes removing graffiti easier and more affordable. This article will provide you with what you need to know to determine whether anti graffiti coating is the solution you need, and which is the best anti graffiti paint product for your specific graffiti problem. We also provide a list of products to give you an idea of how much anti graffiti coating costs. Anti graffiti coating comes in two forms which are suitable for almost any substrate. Which form you choose depends upon the likelihood of your property suffering with graffiti vandalism. The best anti graffiti paint products make substrates easy-to-clean and impervious. Suitable for: when the surface is likely to experience graffiti frequently. Permanent anti graffiti paint (non-sacrificial) is nanotechnology-based, which allows the coating to become one with the substrate. 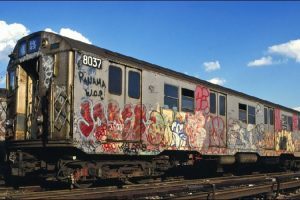 These coatings form a water repellent surface where the graffiti spray paint, permanent markers, or ink cannot properly adhere; the system could also be called graffiti repellent paint. Permanent anti graffiti paint remains functional for 5 to 8 years and can withstand up to 70 graffiti removals. Suitable for: when the surface is at low to middle risk of graffiti. Sacrificial or temporary anti graffiti paint is usually a silicone wax which washes off together with the graffiti. It forms a protective film to which the graffiti can adhere without reaching the underlying substrate. As the coating is sacrificial, it needs to be reapplied after removing graffiti. There are waxes and permanent systems for soft and hard wood. A clear anti graffiti coating system is chosen when the appearance of the wood must not be affected by the coating. However, even the best anti graffiti paint does not prevent natural greying. When the greying should not be visible, an opaque system is a better choice. Anti graffiti coating protects against vandalism on wide range of substrates. The most common choice of anti graffiti paint for concrete is clear permanent system. However, opaque and sacrificial systems are also applicable. Metal surfaces are most often coated with a permanent opaque or transparent system. Some waxes are also possible, but often not convenient. The removal and subsequent protection of small surfaces from graffiti can be done by amateurs, but as the surface area gets larger, the application requires more expertise. Therefore, we have compiled a selection of the best anti graffiti paint products in US, accompanied by a table of graffiti removal and coating surfaces. 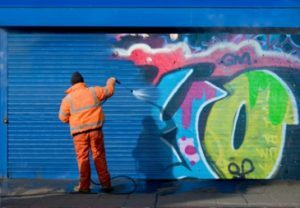 To help you envision of anti graffiti coating in the US, here is a peek into three of the best anti graffiti paint products. Note that the prices are indicative and the cheaper options may not always be the most effective.